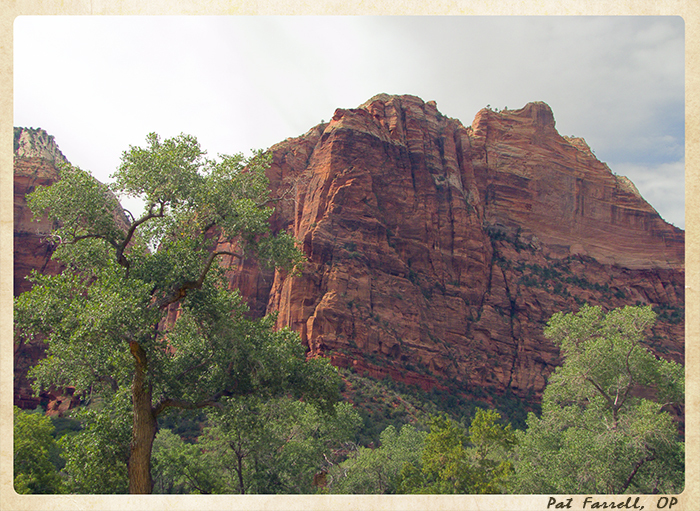 Zion National Park is an easy place to express one’s gratitude. 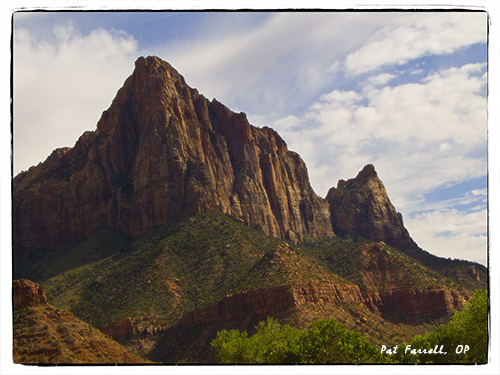 May we always live in Zion! The one who scattered Israel, now gathers them together and guards them as a shepherd the flock. The Lord shall ransom Jacob and redeem him from the hand of his conqueror. Shouting, they shall mount the heights of Zion, they shall come streaming to the Lord’s blessings: the grain, the wine, and the oil, the sheep and the oxen. Then the young women shall make merry and dance and young men, and old as well. I will turn their mourning into joy. I will console and gladden them after their sorrows. 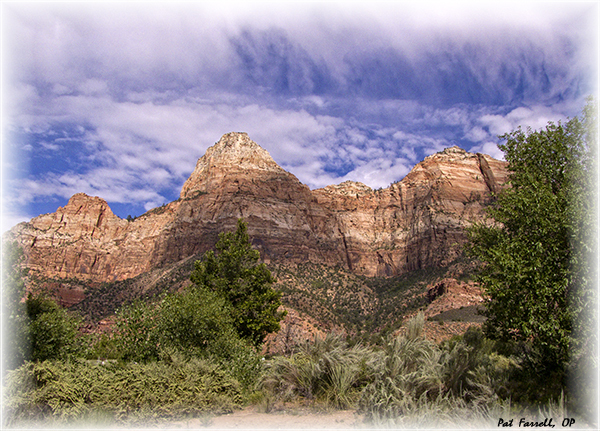 The heights of Zion National Park in Utah. 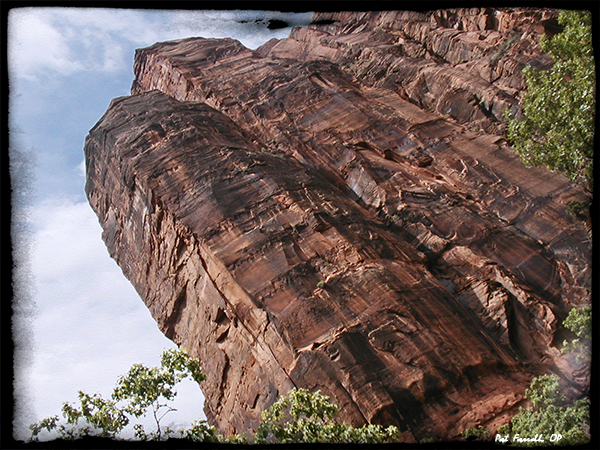 The City of God is often called Zion. 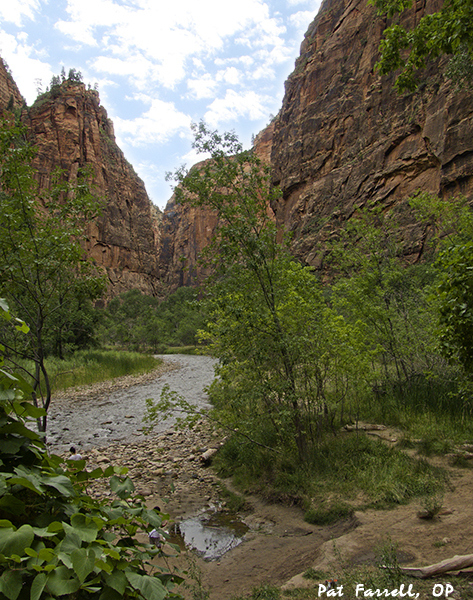 I am sure that those who named the National Park we know as Zion here in the US, could only imagine that such beauty had to be worthy of being called Zion, the City of God. Let us remember that wherever we are, God is, and that it, too, is the City of God, and therefore beautiful. Can We Discern the Artisan from the Beauty that Surrounds Us? let them from these things realize how much more powerful is the One who made them.